Finger almost back to useable, tender but now healing. 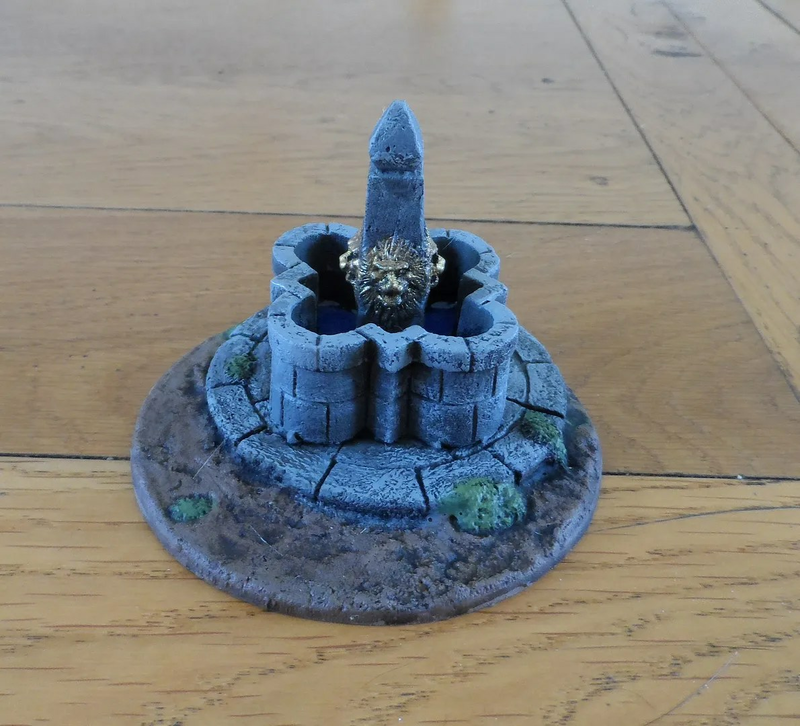 So finally got around to some painting of some scenery pieces. One well with lion head fountain. has been kicking around for ages and was easily finished off. 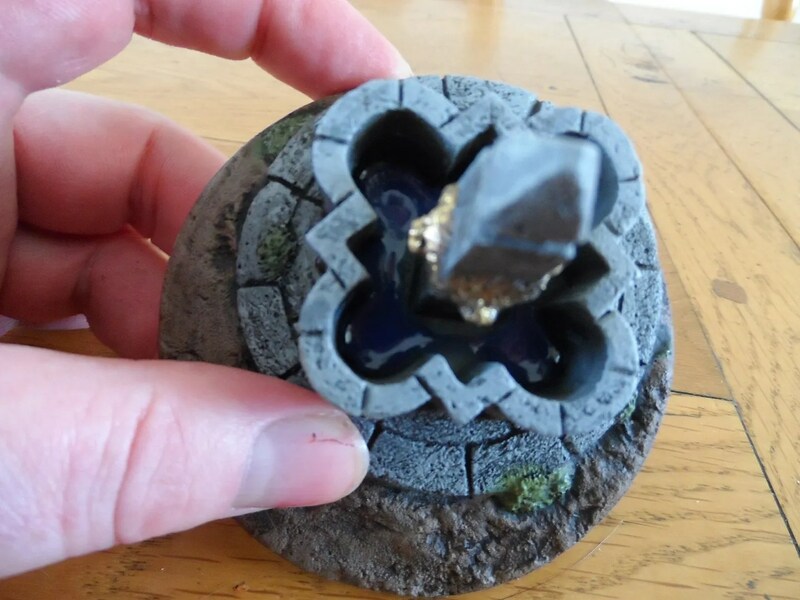 I pored some GW water effect resin in to the pool. Came down the next day, its still white not cured clear ! By the end of the day it still hadn’t cured so I was begining to fear the bottle had gone off and I’d have to take remedial action. After 72 hours it was finally cured all through – I’d even been careful to not make it too deep as I know that causes problems. 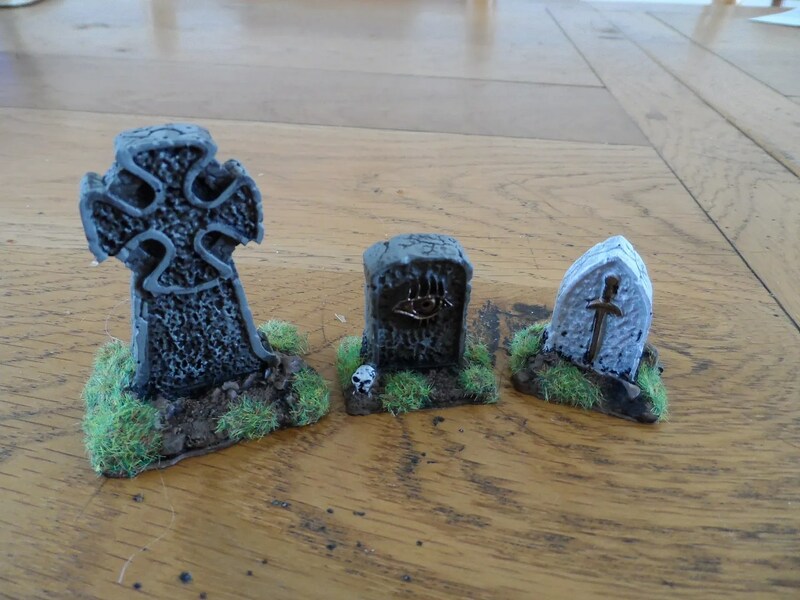 A few grave stones / standing stone. All these are resin peices picked up at shows years ago, and I’ve quite forgotten the manufacturers I’m afraid. 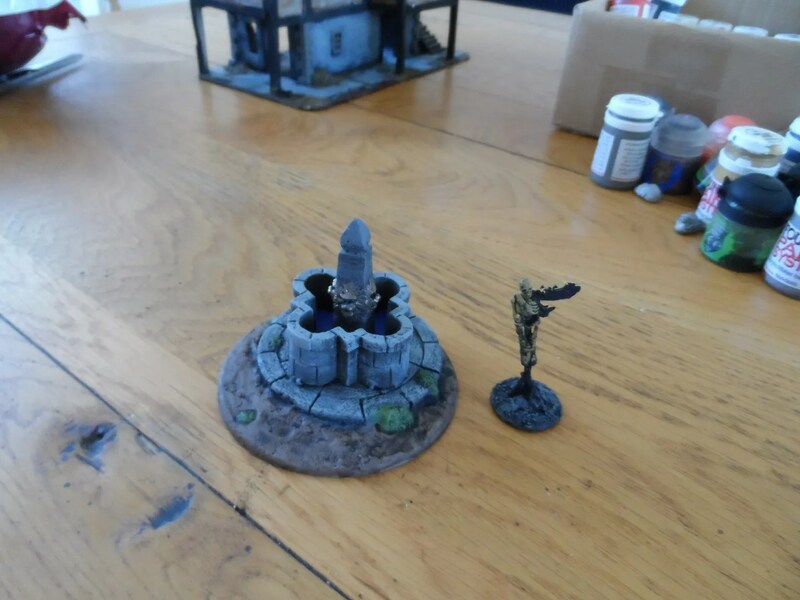 In preparation for another BoB Big Game in June/July, and with a healthy Paypal balance, I splashed outn and bought some figures from Studio Siberia Miniatures that I had seen advertised on the Lead Adventure Forum. 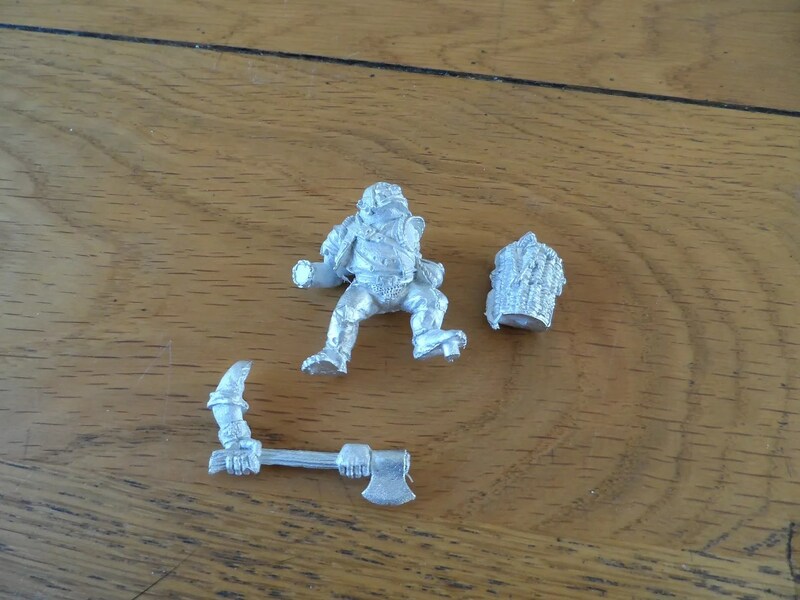 I bought a unit of Kuban Cossack Plastun, with some extra bits and bobs including the command unit and HMG packs. 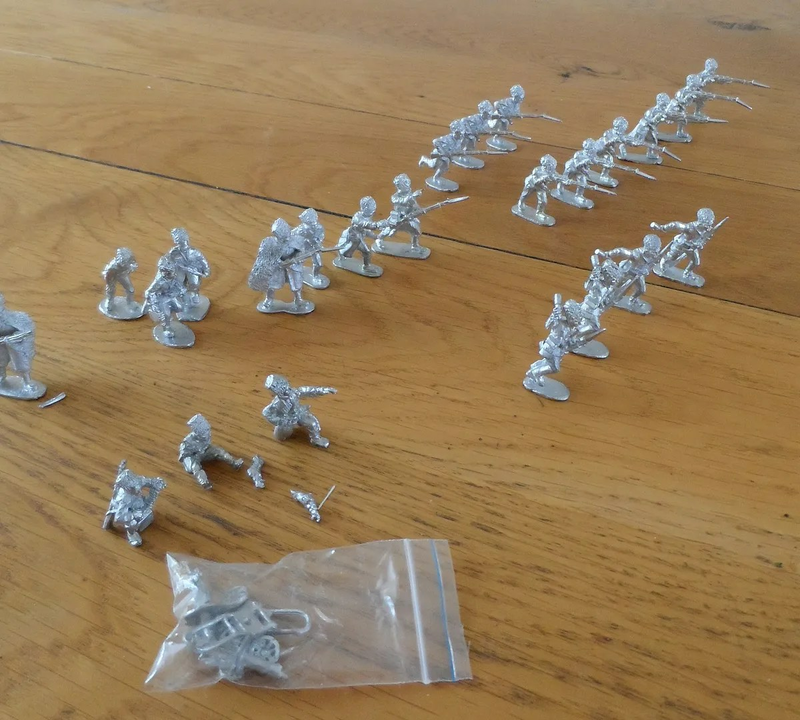 The package arrived today less than two weeks since ordering (I’ve had e-bay sales taking longer to get from the UK to France than that), and only one single bayonet had broken off. The miniatures are well made, moulded, and look the part even unpainted, so now my challenge is to paint them in time for the next Big Game. I’d taken a gamble on them as I knew of nobody who actually had got any of this range from this manufacturer. I’m glad I did take the risk as the service was excellent. So, how do they match up with other BoB/RCW manufacturers ? I would have added in a Brigade Games figure but couldn’t find an unpainted item this afternoon. 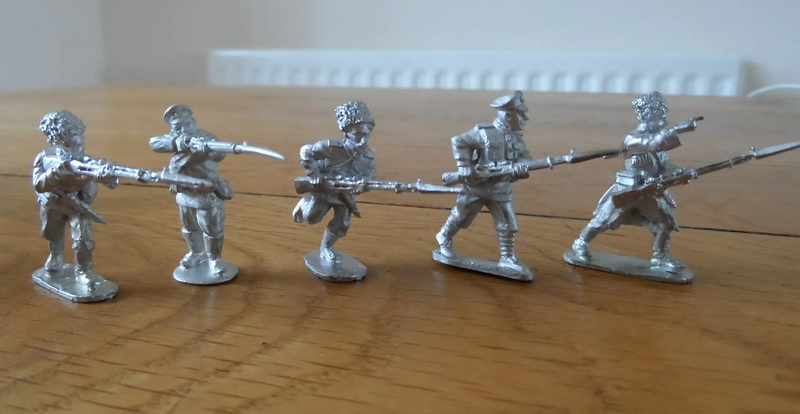 As you can see, the Siberi minis are slightly bigger than Footsore/Musketeer, and slightly smaller than Copplestone, so I’d say they’re about the size of Brigade Games, and totally compatible with all of these manufacturers. Because they do grenade weilding figures, and interesting groups, I’d say go for it ! I already have my eye on the Women’s Death Battalion unit. All in all A GOOD BUY. 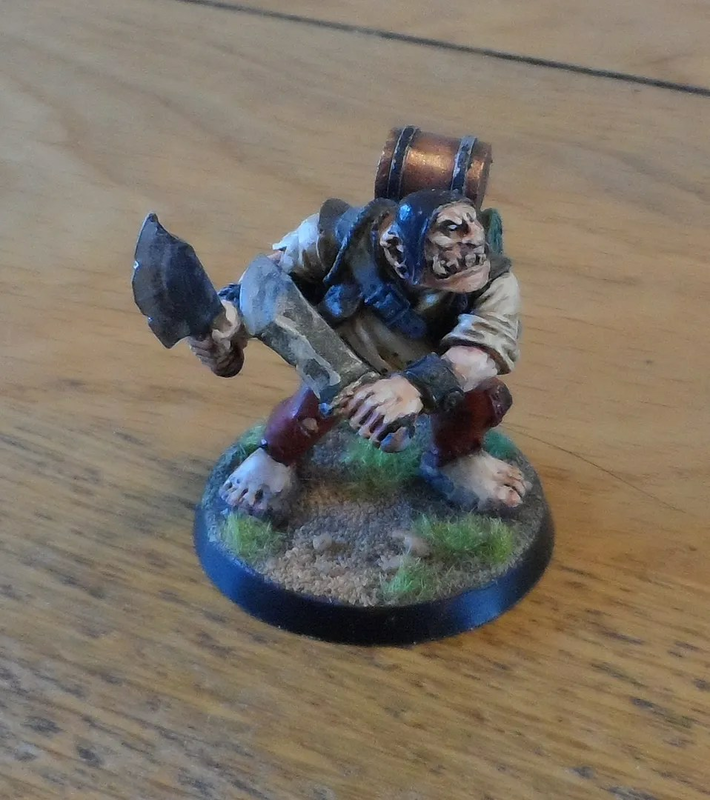 The basic Mordheim Ogre, now long OOP. 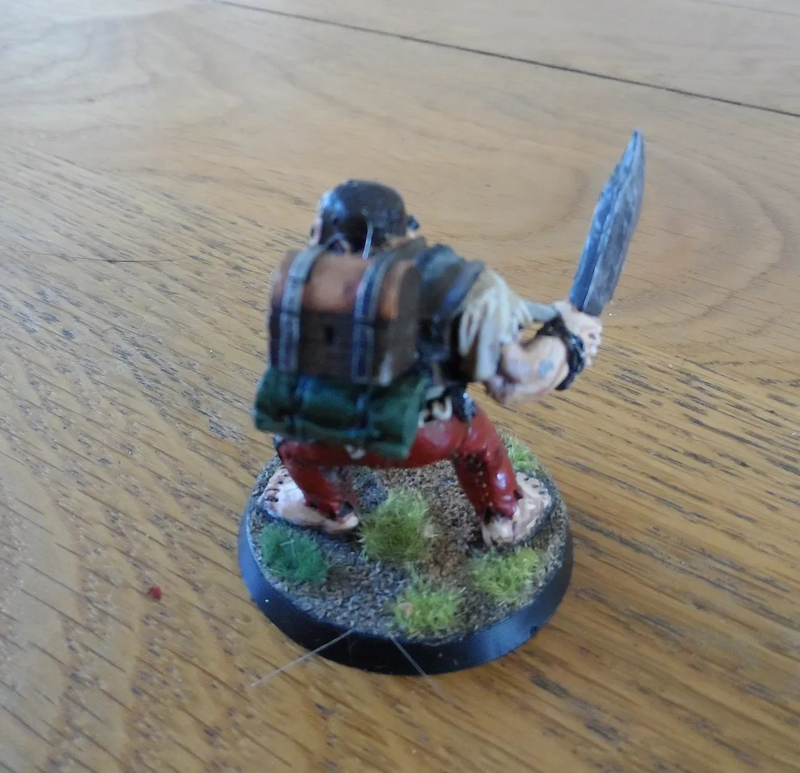 Complete with back pack, of a basket with the remains of a Skaven peeping out. Came as a three piece kit sculpted by the Perry twins. Naturally, this gave rise to a coversion effort. 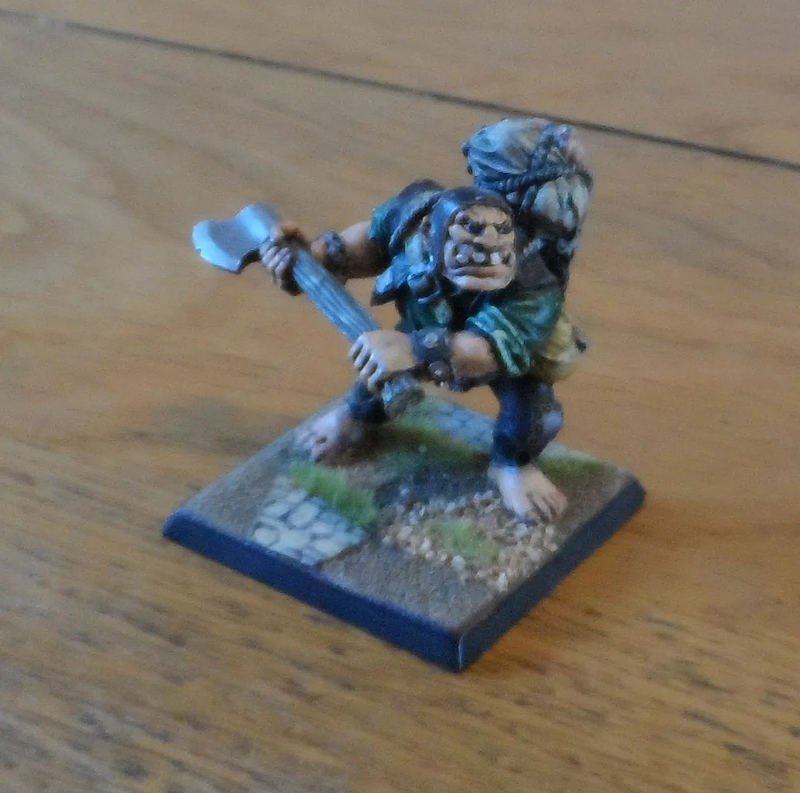 I replaced the two handed axe with Orc Choppa hands from WHFB 6th Ed plastics which fitted beautifully. ISTR this was something done in an edition of White Dwarf or Town Cryer. 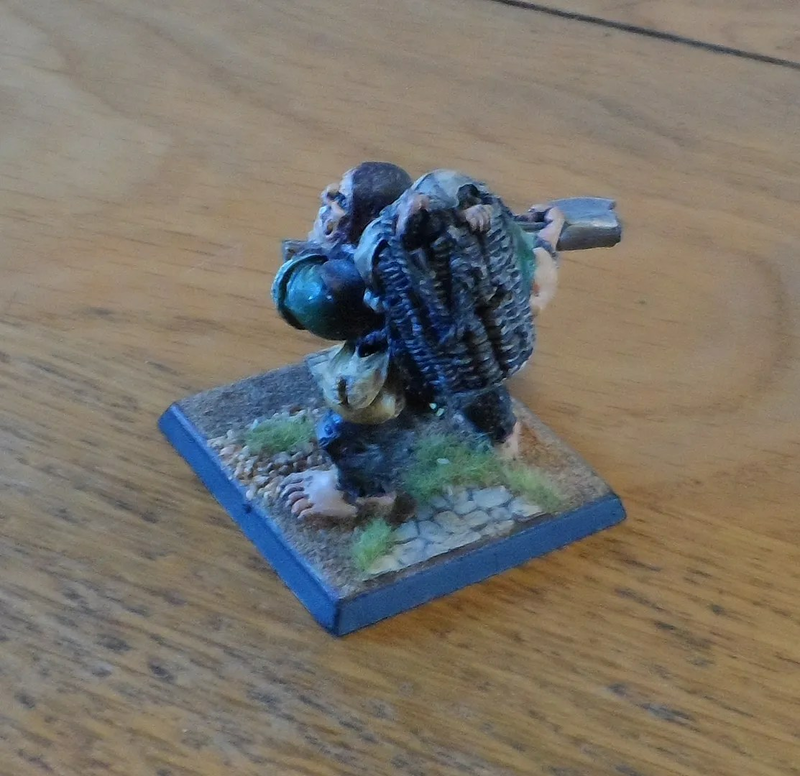 I also replaced the back pack basket with items from Foundry’s General Purpose range and Darkest Africa range to give two totally different Ogres. Just dug the coversion out and restored the back pack, hence the posting. As a wargaming enthusiast I am regularly weidling knives, saws and other blades, doing DIY in the house and garden I have even bigger and more powerful tools (power drills ! ), but what should I suffer my worst injury to date from ? 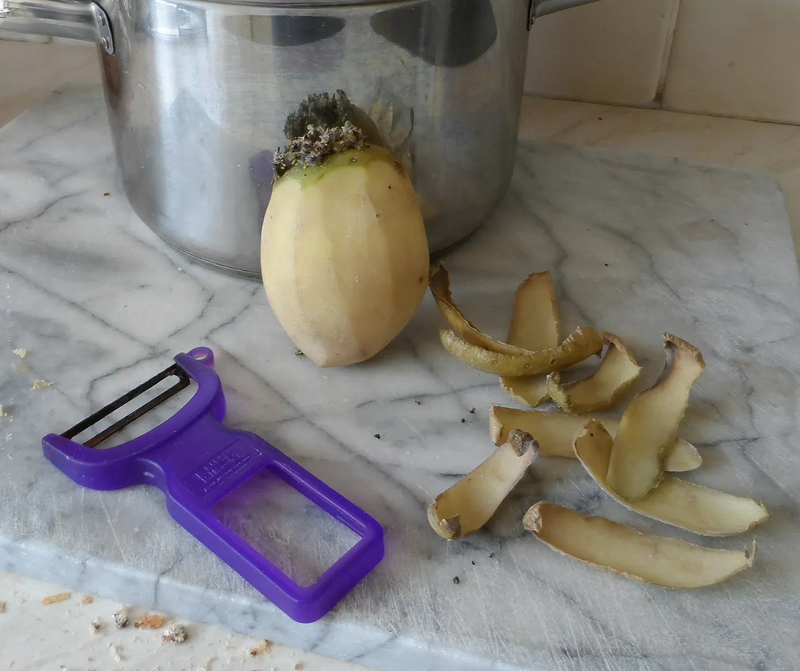 Yes, I managed to injure myself peeling potatoes last night. 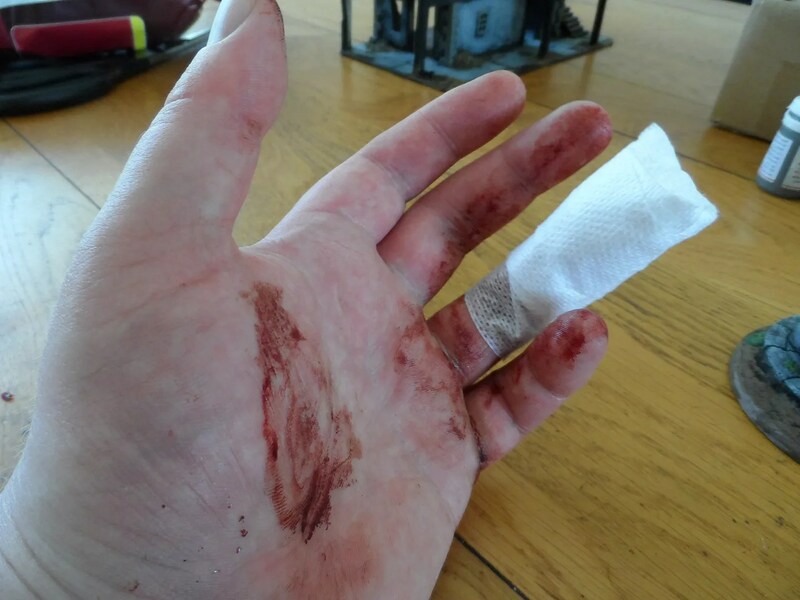 I thought I’d gouged a bit out of the tip of my finger off and jury rigged a dressing to stop it bleeding, which worked sort of 6-10pm. At first I couldn’t get an appointment with a Nurse, so went to the Pharmasist who replaced the dressing (gauze) with a melonin dressing. I then went to the Co-Op to pick some food up, and promptly bled all over the checkout, and my purchases. Back home, and now bleeding profusely I arranged an immediate appointment with the Nurses. On examination they concluded I’d not just cut/gouged my finger, I’d actually sliced part of my finger tip off. Which is really annoying as I’d just got back my blogging mojo. These two items are near completion. A fancy fountain/well (resin unknown manufacturer); and a finger post (!) from the old GW Empire Farmhouse set IIRC. 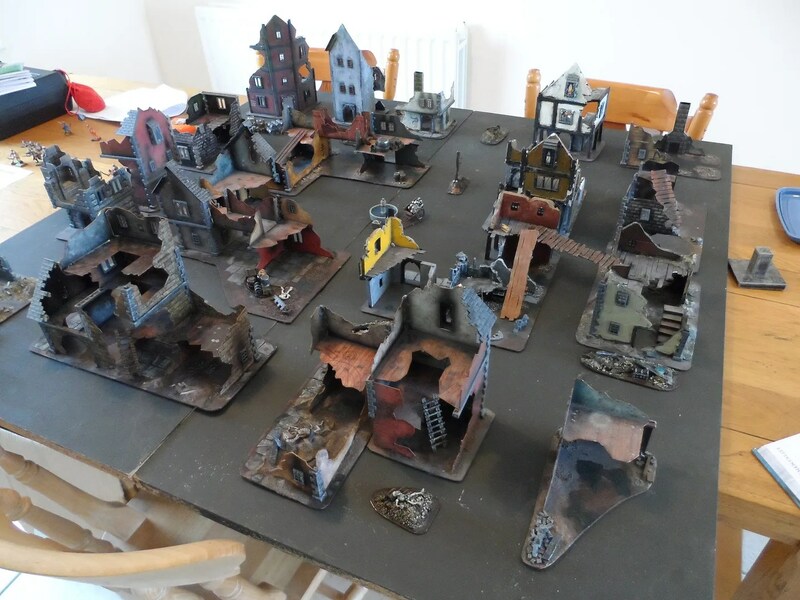 In the background is one of two Mordheim ruins that are awaiting renovation. Byakhee Jim and I had a short notice game of Frostgrave. I’d persuaded Jim to buy the book on the grounds he likes Mordheim, so he did (and at the same got me a copy). So we had a short games session, which Anthony also turned up at and was impressed. 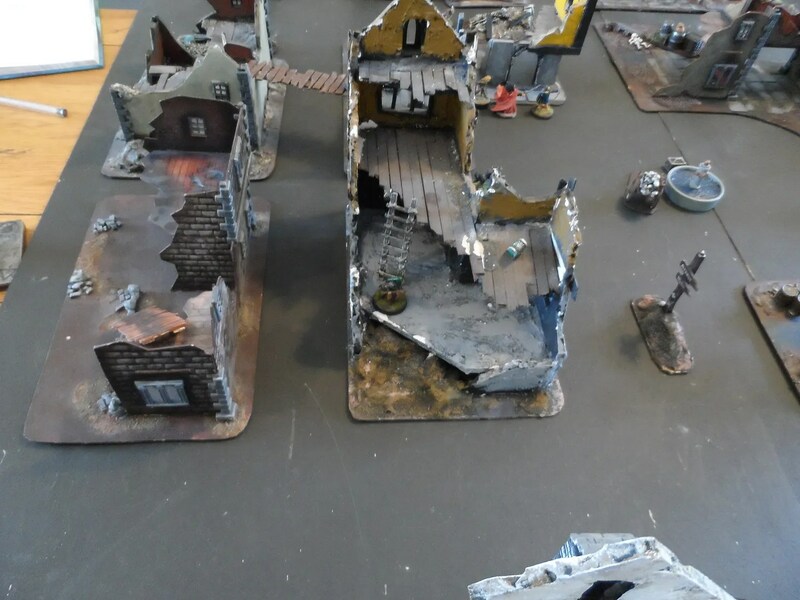 M<y usual Mordheim terrain stood in, and as Jim had not played, and I've only got about 5 games experience and was starting a new warband, we went for a simple head to head fight over loot scattered across the board. 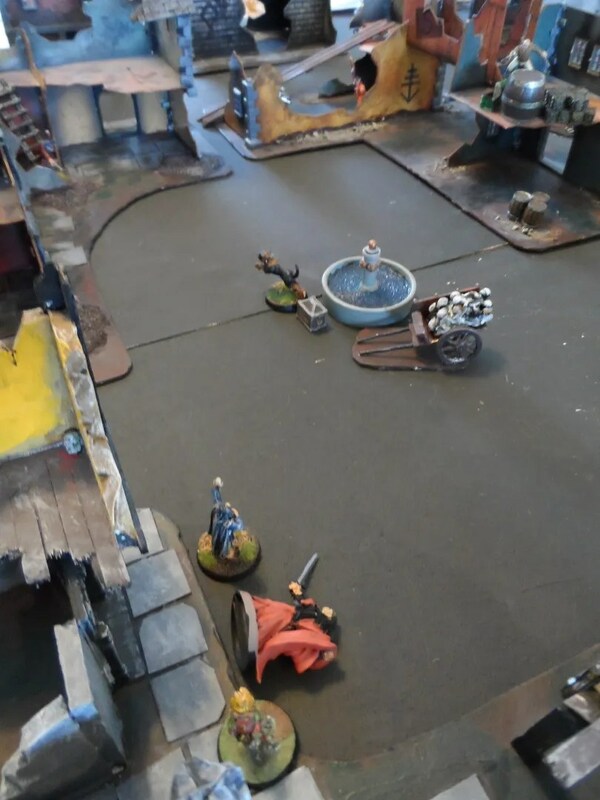 My wizard (Lady Catherine) advanced into the central square, but with a meat shield/archer, and an apothecary in the hope ofn getting the treasure in the middle of the table. Low level thugs were despatched to seize other treasure chests. With Jim doing pretty much the same tactics. 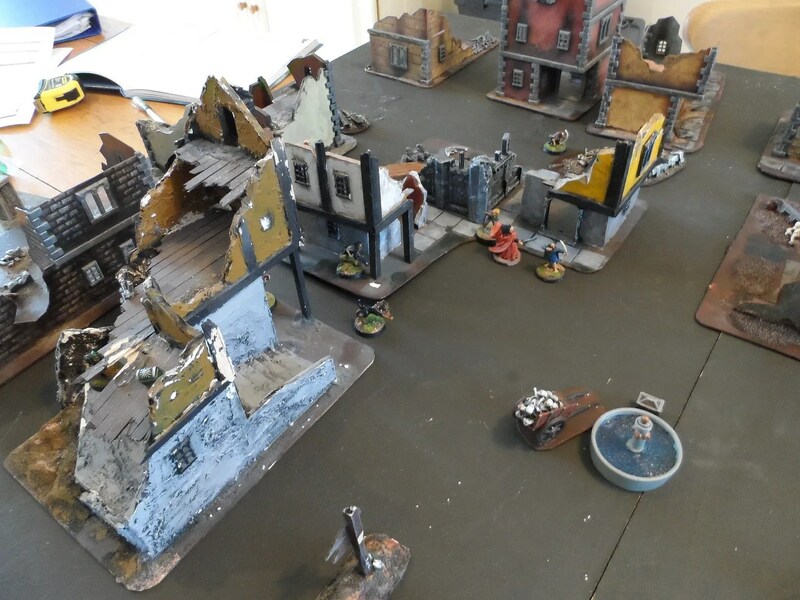 Whilst the thugs did well, I had a ishap, as Jim’s rolls for his archers went well. 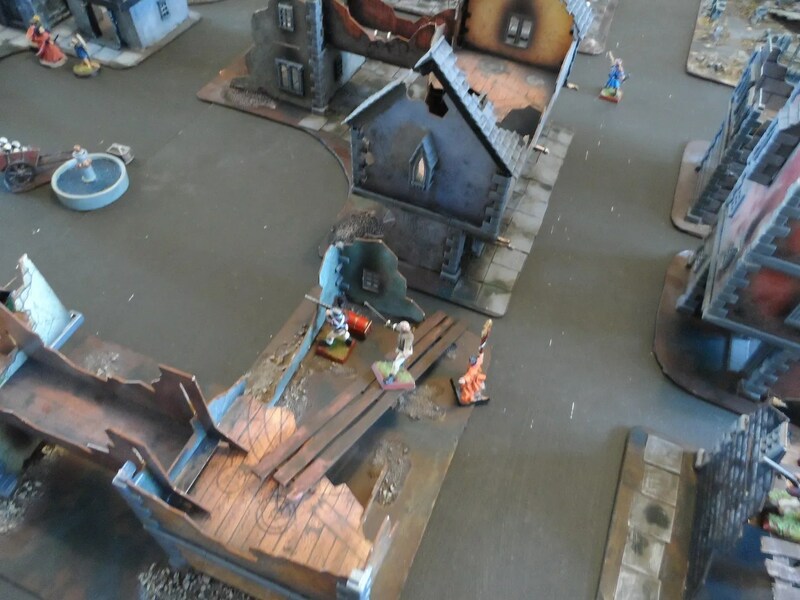 However, I managed to injure his wizard (Hexanmetal Doozelbat), resulting in both of us beating a hasty retreat. Both of us were again pleased that despite the multiple wound count (Health), paperwork was minimal, so Jim will be back for more, and hopefully Anthony. An amusing take on how the media, and climate change deniers credulously accept the headlines. For the Big Games in the hall, I have to charge participants £10 per person in order to cover the hire of the village hall and the buffet lunch. As people inevitably drop out, I have to pad the budget so I’m not left out of pocket. Usually the excess money goes to charity (eg Help for Heroes) and we’ve raised about £90. For the last year I’ve squirrelled away some of the money, especially from events that have been close to not breaking even. 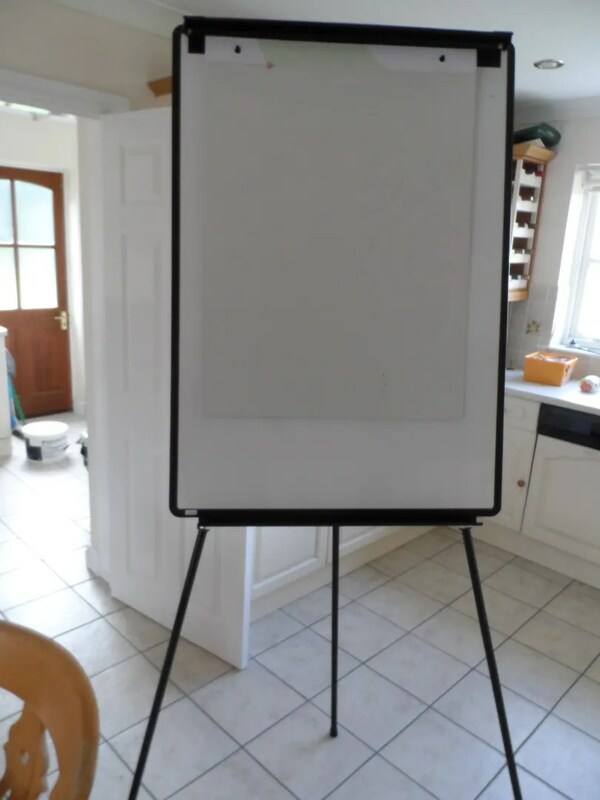 Having a need to get a flip chart stand for the Parish Ccouncil, I got quotes a few weeks back for a stand and pad, and realised I had enough money to buy both stand and A1 pad for our wargames events from the money I’d had left over. Because quite often no-one knows what the hell is going on, what table they’re playing on and so on. So a nice big pad telling them what to do seems a good idea. Plus we can use it for sundry other purposes. Best thing of all, when I bought the pad at £15.99 I thought it was expensive…but when I collected it, the box actually contained 5 pads of paper. Bargain !